God is a community or a family, Father, Son and Holy Spirit. Church is a community or a family and its effectiveness depends on the quality of the relationships it fosters within it. As part of the Body of Christ we are knit together in the one Body which scripture calls the ‘temple of the Holy Spirit’. Jesus desire as head of that Body is to forge us together in such a way that there is complete unity and cohesion of vision and function. Disunity and a spirit of isolationism of any degree within the Body is totally counter productive and prohibits the work of the Spirit and the indwelling presence of Jesus. 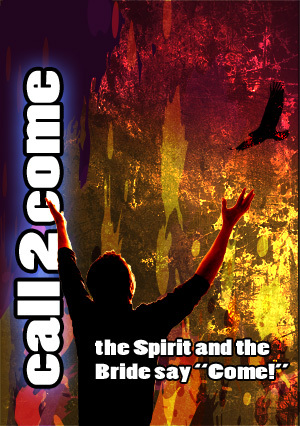 The Call 2 Come seeks to build relationships with all those who are born of the Spirit of God. It especially welcomes relationship with those who long to see the Bride awakened and are seeking to be prepared to meet Jesus as their Husband. This is the time of networking within the Body of Christ and we warmly invite anyone to make contact with us individually or as a organisation who have a similar vision and who want to build relationships with us as a ministry. We want to encourage one another and wherever possible to work together. We will be posting regular updates, mission reports and teaching here on the website and will be sending out to your email a regular ‘Word for the Week’ to encourage and inform. If you wish to subscribe to this please contact us and send us your email address and a brief introductory bio. You can do this by using the website ‘Contact us’ facility. Dear Mike and Howard, I am completely overcome and overjoyed by discovering your ministry. Howard I am good friend of David and Jill Munby, and she has wanted to connect us for some time. Briefly, eighteen months or so ago I had an encounter with the Lord where I experienced His love for His bride. I began to burn with a deeper love for Him and for His bride. He told me to gather the women and He would come. I have been an evangelist many years. But this was not Africa initially (where I have mainly worked) but UK. The ministry of Aflame was birthed. We gathered and our bridegroom King came. Hearts were healed, shame fell away, the flame of first love is being rekindled! Your ministry has confirmed so much. Thank you so much! Blessings, Janice. PS we are calling for our bridegroom to come. Hi Janice, great to hear from you. David and Jill are such a blessing they are good friends. In fact we were with Jill on mission to India a few years ago, that was an amazing time. I checked your website also to get to know a bit more. So blessed to see your heart for Africa the work you are doing there both practically and spiritually, as well as here in the UK. Yes, such a need for healing and restoration, many are hurting, thank you for being a friend of the Bridegroom. Please keep in touch, the Lord has brought us together for a reason! Have a blessed day.